Black and white negative of James and Alice Sawdon on the occasion of their 50th wedding anniversary. 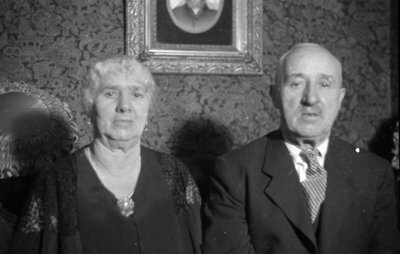 James and Alice Sawdon, January 1937, Marjorie Ruddy. Whitby Archives A2013_040_086A.